knew exactly how to breathe. not at all, my pleasure..
Ah yes, there are thots, and then there are THOTS. thank you. oh my this is so clever...a deep cutting write with a wry sense of humor. oh my this is so clever...a deep cutting write with a wry sense of humor. love it, Lyn. j. How awesome. Yes, it's a whole new language. a BIAS is a crush. Um. Ok? Oh yes, and my daughter corrects me if I refer to it as a crush. 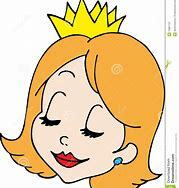 Phew, I have never been called a princess, but I have it narrowed down to 28 possibles. Poetry, just like real life, has too many prince/princesses, who regale us with how utterly delightful there lives are, who tend to be the saddest, loneliest people, with nothing but a fantasy lifestyle to strive to. If they haven't got it, it must be useless types who never quite realise how thin their veneer of respectability is. My heart in a blender - p..